The Hoover TwinTank Disinfecting Steam Mop combines with Hoover SteamPlus Disinfectant solution to deliver a one two punch on germs and harmful bacteria around the home. The two tank system gives you the ability to clean with steam alone or to add Hoover SteamPlus disinfectant solution with the turn of a dial. 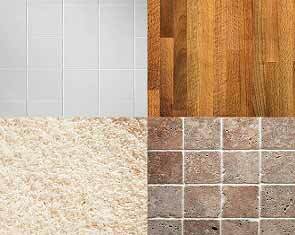 Steam alone can not eliminate harmful bacteria dwelling on the floors in your home without a substantial exposure time. When used with Hoover SteamPlus solution, the Hoover TwinTank Disinfecting Steam Mop kills or removes 99.9% of harmful bacteria including: Influenza A, Swine Flu (H1N1), Staph, Salmonella, MRSA, E.Coli, and more. 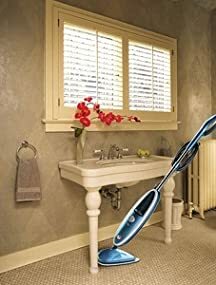 Clean every area of your home with the included accessories: carpet glide to refresh carpets, triangle swivel nozzle to get into corners and to maneuver around furniture. The steam ready indicator lets you know when the unit is ready to use. 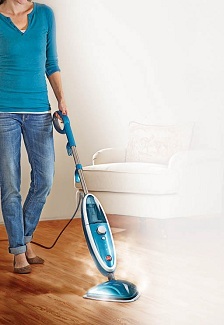 Meet the Hoover® TwinTank™ Steam Mop, a steam mop that makes ALL other steam mops obsolete. 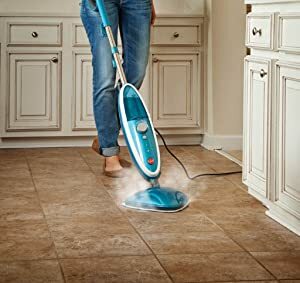 It’s a lightweight steam mop that can really throw its weight around while quick heated steam cuts through bacteria and germs. Meanwhile the Hoover® SteamPlus™ Cleaning Solution is available for an extra "oomph" on dirt and grime - just adjust the Solution Control dial and instantly get a really effective clean. Clean with steam alone OR with Hoover® SteamPlus™ Cleaning Solution, it’s your choice. 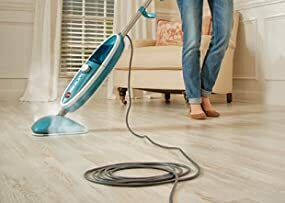 The all new Hoover® TwinTank™ Steam Mop incorporates a unique TwinTank™ system, allowing you to clean with steam alone or with Hoover® SteamPlus™ Cleaning Solution. Remaining true to the “green” cleaning standard often associated with steam cleaning, the included Hoover® SteamPlus™ Cleaning is 100% biodegradable and non-toxic, so you can rest assured it’s safe to use around your family and in your home. 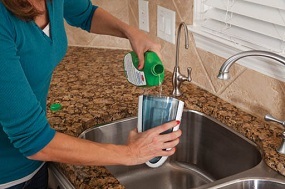 Hoover® allows you to kill germs and bacteria while still insuring a non-toxic environment for your children and pets. Steam alone cannot clean every stain or spill, the added power of the Hoover® SteamPlus™ Cleaning Solution allows you to get those spills and stains with ease. No more backache, just adjust the Solution Control dial to get the power of the Hoover® SteamPlus™ Cleaning Solution added to the steam. Get the dirt and the bacteria, too. This revolutionary steam cleaning system allows you to clean with Hoover® SteamPlus™ Cleaning Solution for those tough stains and everyday spills, but when used with steam alone, the TwinTank™ Steam Mop truly disinfects** & kills or removes greater than 99.99% of harmful bacteria***. 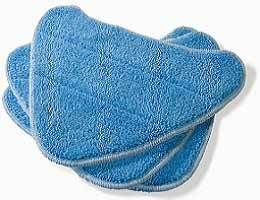 • Outcleans* other steam mops, making them OBSOLETE. • Disinfects** & kills or removes greater than 99.99% of Harmful Bacteria***. 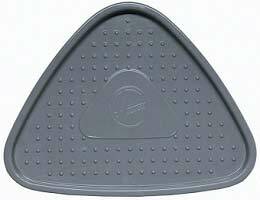 *When used with Hoover® SteamPlus™ Cleaning Solution. 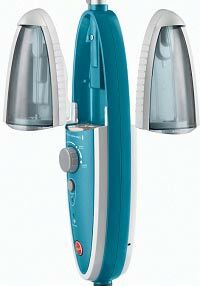 Compared to other steam mop models tested on hard floors per FCTP-0287p. **With steam alone, on hard floors, per owner’s manual instructions. ***Staphylococcus aureus ATCC 6538, Salmonella enteric ATCC 10708, S. aureus 33592 (MRSA). ****Versus cost of disposable pads.